For much of the 1990s, the tourist town of Bergama was the epicentre of Turkey’s most effective and visible environmental social movement against a multinational mining corporation aiming to establish the first modern gold mine in the country. Bringing relatively prosperous peasants together with a small group of ambitious policy entrepreneurs, the movement marked a turning point in environmental politics in Turkey. Motivated primarily by the environmental and public health risks posed by cyanide leaching, the peasant activists waged an unprecedented campaign that acted as a forceful reminder of the potential of social mobilization to impart lasting change both at the local and national level. 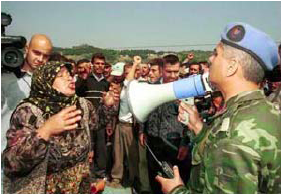 While the peasant activists failed at the end to stop the operation of the mine, their campaign sparked a national discussion over the environmental costs of rapid economic growth in Turkey.